Have you ever been told you should be a travel agent? Are you the go-to person when it comes to planning tropical vacations, Disney vacations or cruises for your friends and family? If you answered yes to either question, then you just may be what we are looking for. Please fill out the form below and we will be in touch very soon. What makes you want to become a Travel Agent with Travel Source One? How many hours per week can you dedicate to this career? Yes, experience as a travel agent. Yes, but not as a travel agent. No. If you answered YES, please explain your previous travel experience. 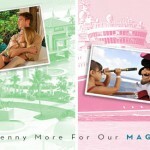 Include revenue generated for general travel as well as Disney products. If you answered NO, have you ever helped your family or friends plan their family vacations? Please list any trips you’ve helped plan and explain specifically what you did for them. Please list all of your personal travel experience below and how many times you’ve visited each destination. Are you active on social media sites such as Facebook and Twitter? Please list THREE references including name, address, and phone number for each. Please enter the text below to prevent automated submissions. Thank you so much for your interest in becoming a member of our Magical team. We look forward to speaking with you. Looking for a great travel deal? Sign up to receive our travel deal alerts via email.